Q. How do you use and install "Check SIT Library" bookmarklet? You may have stumbled upon a useful article on the internet but have difficulty assessing it as you were not accessing these resources via the Library's OneSearch. We have a solution! You can install and use "Check SIT Library" bookmarklet on your preferred web browser to reload the page and access the content seamlessly using your SIT username and password (if SIT Library subscribes to it). Right click on this link "Check SIT Library". Click "yes" to continue if you are prompted with this alert: "Favorite may not be safe". Open this page with Google Chrome. Drag and drop this link: “Check SIT Library” to your Chrome’s browser toolbar. Open this page on your safari browser. Tap "share" and select "Bookmark"
Tap “Save” to save the bookmark. Tap and Surf. Go to your journal article of interest, click on “Check SIT Library” from the bookmark. You will be prompt to log in to your SIT username and password. Once you have successfully logged in, you can retrieve the full text article. Open this page on your mobile device’s browser. Bookmark this page. Click on Bookmarks and make sure that you see “Check SIT Library” amongst your bookmarks. If you encounter problem with your mobile device’s default browser, please try using Google Chrome Mobile. Tap “Done” to save the bookmark. If you are prompted for payment, simply tap the bookmark “Check SIT Library`”. You will be redirected to login with your SIT username. 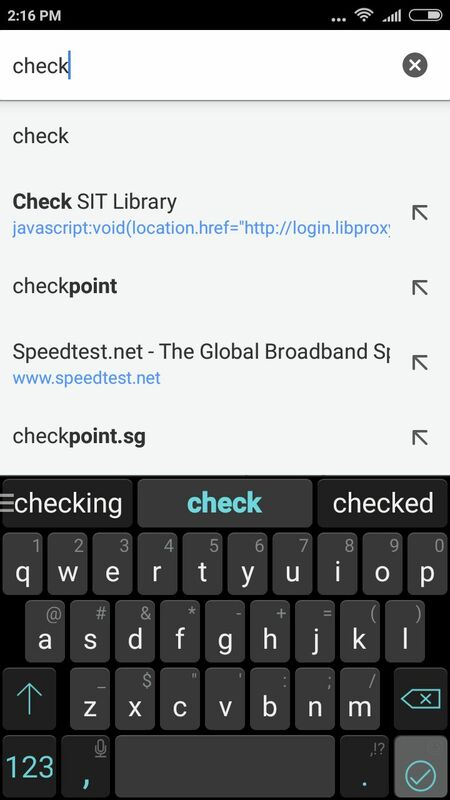 For android user, instead of tapping on “Check SIT Library” bookmark from bookmark list, search for “Check… “ via our browser address bar like below. Tap on “Check SIT Library” bookmark from the dropdown list. The page should refresh and you should be able to access the full-text if the library subscribed to it.